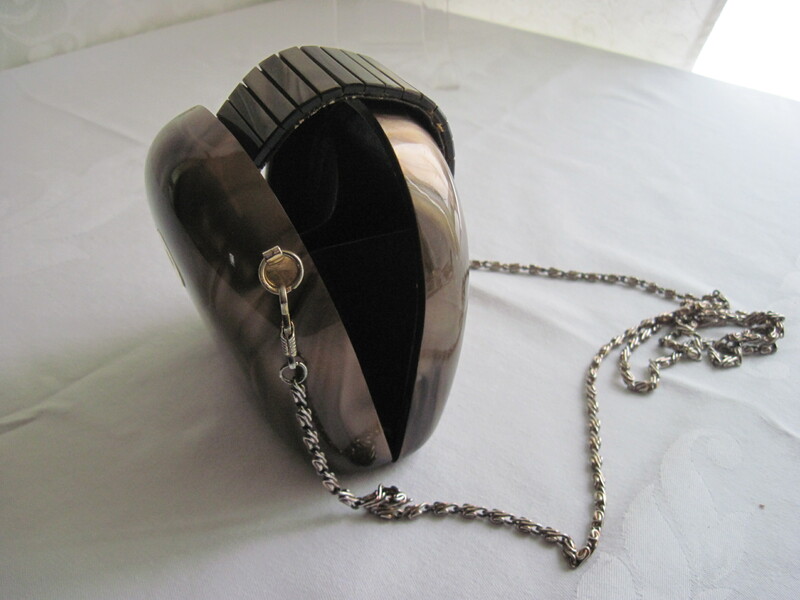 Cute little hard platic shell evening purse with articulated flap and chain strap. Probably not that old, maybe 1980’s, but very retro looking. It has a very high gloss finish which reminds me of turtoise shell.